Certified Scrum Developer Certification in Sydney is one of the most sought after technical courses for people in various fields. Signing up for the Certified Scrum Developer Training in Sydney will provide an excellent grasp and understanding of Scrum principles teamed with agile methodologies. Assisting architects, business analysts, IT professionals, developers, engineers, QA testersand project managers, this course however comes with a pre-requisite of basic programming development knowledge to enrol for this course. What is the course all about? It takes five days to complete the CSD training in Sydney. The first two days are meant for discussions about Scrum framework, roles, principles and ceremonies and the ways of working in a Scrum environment. This followed by the Technical Track Training of the certification for the next three days brings in theory and practical sessions aiding a holistic understanding of the entire course curriculum. 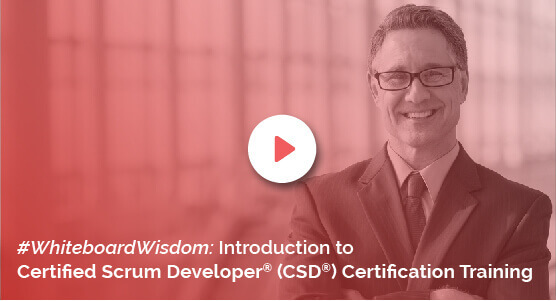 Practical insights about the actual design and code samples isan important section of the CSD certification in Sydney, and the main subject for discussion for the second-half of the course. Benefits of the course: An in-depth understanding of the Scrum principles and fundamentals comesas the first benefit of the course. Coupled with this, aspirants can derive a practical experience while working with Scrum tools teamed with object-oriented Scrum techniques. To sum it all, this course emphasizes the implementation of best practices used to churn out quality software products. The KnowledgeHut Way: TheCSD course in Sydney from KnowledgeHut is made interesting by student-friendly tools like a demo supported by lectures with a workshop that brings with it the practical nuances of applying them to work environment. Convenience and affordability are mirrored in the form of registering online with the examination fee being included in the course fee coming with a nominal cost.